Fayette County Sheriff Vernon Stanforth said Monday that detectives are still interviewing individuals in their investigation of a reported homicide that occurred Aug. 11 at the Jamison Road mobile home park. 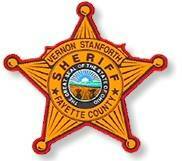 Stanforth declined to comment on any potential suspects or motives due to the ongoing investigation of the alleged shooting that claimed the life of Raymond E. Baker, 35, of Scioto County. The shooting was reported at 2:35 a.m. Saturday, Aug. 11. Anyone with information regarding this homicide investigation is encouraged to contact the sheriff’s office at 740-335-6170 and speak with a detective. The FCSO is being assisted by agents from the Ohio Attorney General’s Office Bureau of Criminal Investigation & Identification.